Everyone is flooding their Facebook accounts with these dainty looking flowers that's currently almost full bloom in most areas of Japan, we are not there to see it ourselves but we do enjoy these beautiful photo updates on our feed while we are busy focusing here in Malaysia giving our customer's hair the best treatment it deserves. Looking through our past works, one of it deserves some highlight as it is of the right season to mention and it's done by our Japanese director stylist. Though some of you might not remember this photo from one of our Facebook wall updates last year, we are posting it again for you guys to draw inspiration from especially if you are wondering what color should you choose to dye for Spring. 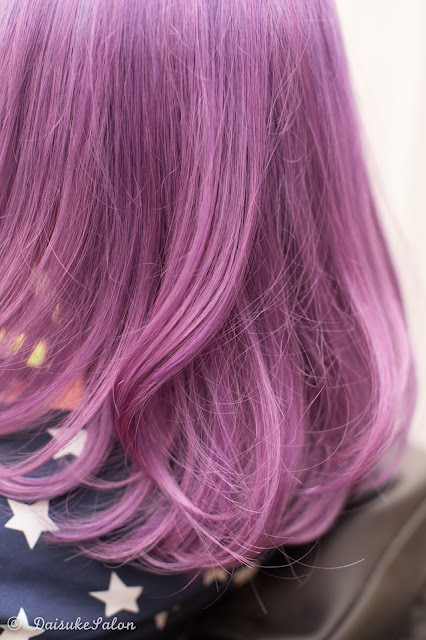 This special color mixture was created by Daisuke and was inspired by the sakura blossoms back in his hometown. Using an ash base to create a subtle pastel shade outcome or else on normal bleached hair without the ash base it would be much more vibrant and sharp. Most colors are usually toned down with either our toners or ash colors base first unless the customer requests for a sharp color with the intention of allowing it to fade gradually to pastel on its own after a few washes. 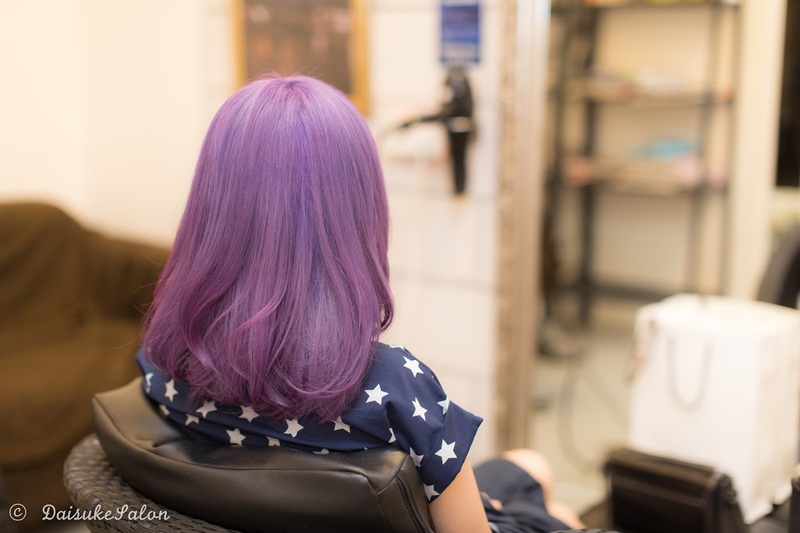 There are customers who prefer softer hues as it doesn't stand out too much compared to having bright and sharp colors though they have selected to do special colors on their hair, it's sometimes contradicting in a way but we don't mind and we understand as well! They might like trying out unusual colors but have concerns about creating too much unwanted attraction and above that the maintenance period is also taken into consideration since lighter colors fades off much quickly as well. 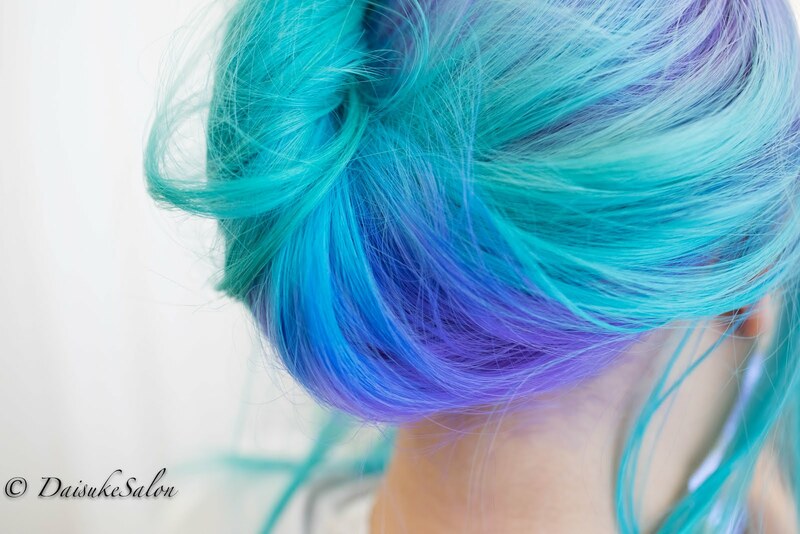 Also depending on your preference we can advise a suitable color dye type for you since we carry color butter (easy to fade off) and color manicure (longer lasting), consultation is free and all you have to do is just call up to let us know if you are dropping by for a consultation or looking to book a slot to do your hair. Have fun enjoying your sakura blossom experience and don't forget to participate in their Hanami (sakura viewing festival) like a local with pinic mats & obento.